SO as fast as fashion week came, it also went. I have been creeping in on runways and style blogs all week to catch up. Working full time and going to school part time really take a lot out of you! I have to say... I am loving that colors in the fall! 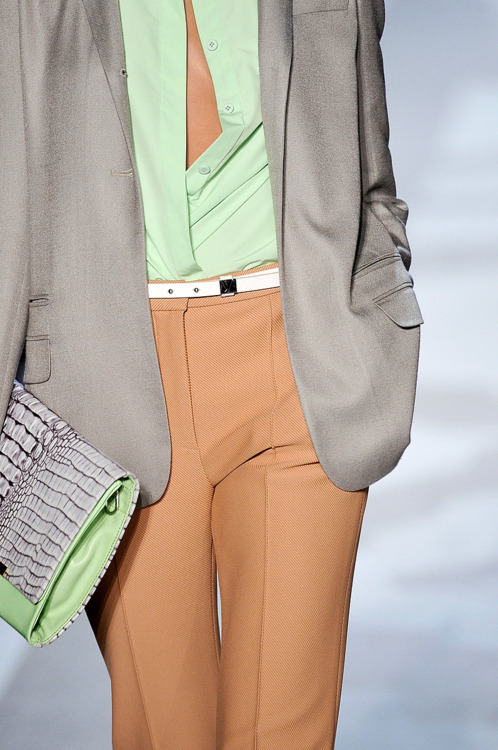 I love the mix of textures and that pleats are here to stay. 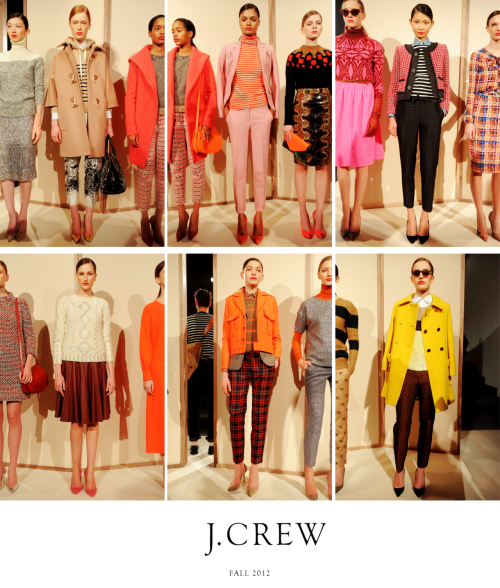 I am in love with J.crew and Oscar De La Renta right now. I decided to devote my fashion finale post to the Genius Jenna Lyons. The J. in J. Crew. the last photo is cool, love the heels and print pants! YES! YES! YES! Jenna hit the nail on the head!! The pleats are so mature and clean.. I love that look in the 1st photo... it's timeless! For some reason I cant see the pictures. But i hope school is going well! I am loving it all!!! I want to just put it all in my closet.